Layali Dance Festival: Oriental + Latin Weekend! Welcome to Layali Dance Festival: Oriental + Latin Weekend! Följ eventet på Facebook för löpande uppdateringar / join the event on Facebook for more information. ✨ There will be loads of inspiring workshops, a spectacular show, and a nail-biting dance competition! Guest artists: Ekaterina Oleynikova, Diana Gnatchenko, Sara López, Ludmila Monzón, Laura Zaray and Anastasia. Registrations are open. The evening will begin with the festival competition in both belly dance and oriental + Latin fusion dance. After that our incredible international artists will take the stage! 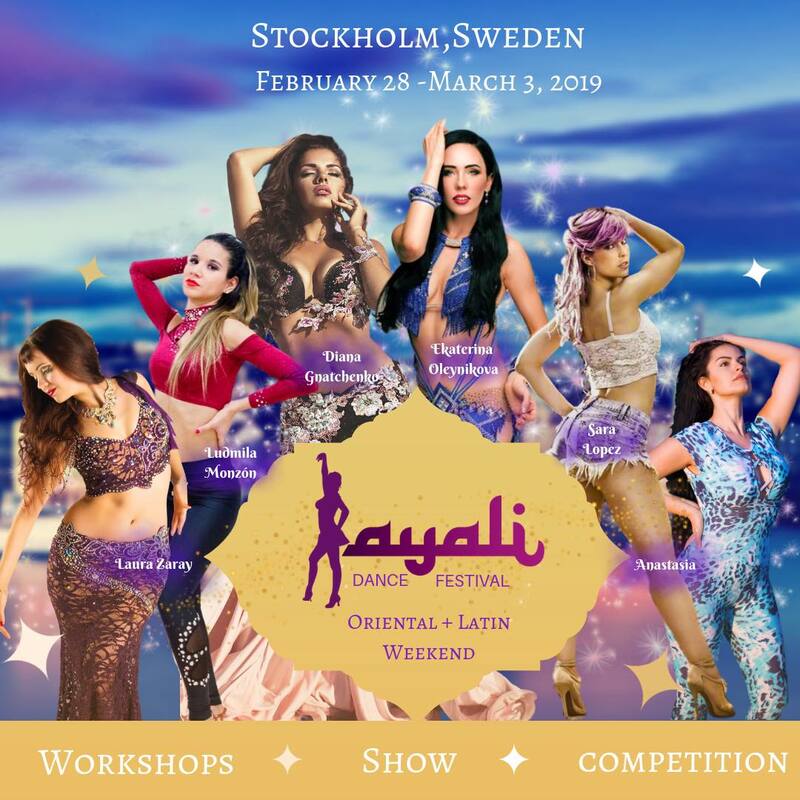 Layali Dance Festival 2019 will feature dance competitions in three categories: Bellydance professional, Bellydance amateur and Oriental + Latin fusion (open level).